Our team of dedicated and qualified fitness coaches is passionate about helping you meet your goals! 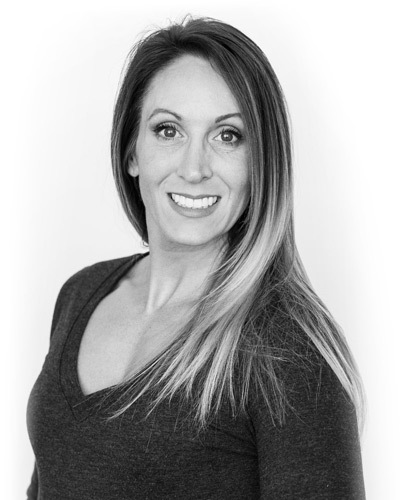 From our head coach Adrienne to our fitness coaches, everyone at Fitness Evolution in Rocky River, Ohio has a unique background and experience that they can bring to the table. In 2013, I was 53 years old and was recovering from major surgery. Although my body seemed to have healed, I did not have the stamina and energy that I once had. I had never exercised a day in my life but felt that now was the time if I was ever going to regain my strength. I was lucky enough to meet Rachel, and she guided me through a custom exercise program that increased in intensity as my exercise knowledge grew. A year later, my husband joined me and began his journey toward fitness. Today, under Rachel’s leadership, we are strong, healthy, energetic, and enthused about exercising. Without the customized exercise regime from Fitness Evolution Rocky River, we would not have embraced and maintained this lifestyle. Thank you, Rachel! I wanted to share my experience at Fitness Evolution. A few years ago, my fitness consisted of running about 30 miles a week. I was hooked, and I thought that was the way to go. But after a few months as a member of Fitness Evolution, I could feel the difference. After looking back at the photos that I had forgotten about, I could see the difference. I am 62 years old in the running photo and 65 in the weightlifting photo. This year at age 66 I am looking forward to competing in the shot put, discus, javelin, hammer throw, and of course golf. With the help of Rachel Lauderback and Adrienne Smith, I have the strength and energy to compete. Give them a try. You will like the results! When I first came to FE, I had so much back pain that I had trouble sitting up through a day of work. When we flew, or when I drove a long distance, I had big lidocaine patches up and down my lower back. When we flew to Norway last month, I forgot the patches and never needed them. Because of working out with FE, I am taller, my lower back doesn’t “go out” anymore, and I can walk more comfortably. I still get the occasional sciatica tingle, but it’s 90% gone. Rachel Lauderback and Adrienne Marie Smith have made me a true believer.